I think we can all agree that vocabulary instruction needs to reach more students at a deeper level. How do we do that? Take it to the next level. Read the context of the word reluctant. 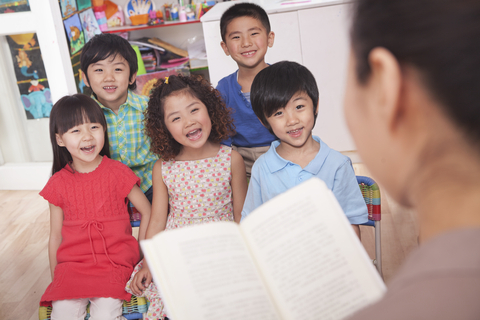 Give a child-friendly definition of reluctant – not sure you want to do something. Repeat the word, practicing its pronunciation. Give examples in context talking about a time you were reluctant to do something. Ask students what they would be reluctant to do and replies are phrased using the word: I would be reluctant to _____. Go a step further and use the InferCabulary method by adding pictures to help students understand what reluctant looks like. 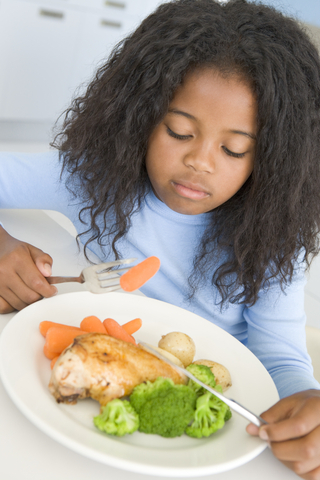 In the picture on the right, the girl is reluctant to eat her vegetables – something all kids can relate to. Taking vocabulary instruction to the next level means taking the word from the everyday mundane classroom exercises and putting into a context that applies to everyday life with examples they will remember – the sillier and funnier, the better!